90 Day Fiance: Happily Ever After preview video covers Colt Johnson and his mother Debbie Johnson navigating the explosive aftermath of Colt’s tainted relationship. Larissa Dos Santos Lima leaves Debbie Johnson and her son in tears. Chantel Everett’s family vow to make Pedro Jimeno an offer “he can’t refuse.’ This is much to Chantel’s destain. 911 calls run rampant this season with cops seen in a few 90 Day Fiance couple’s living rooms. This includes Jay Smith and Ashley Martson. It’s one thing to see a 90 Day Fiance couple take their battle stations like Colt and Larissa. But it’s another thing to see Colt’s mom Debbie reduced to tears. Especially in her own home. Seems there’s a lot of unhappy times for Debbie Johnson ahead. Much of this occurs in her role as a mother-in-law to Larissa. This new 90 Day Fiance season brings Colt filing for divorce after Larissa accuses him of cheating. She does this several times before he actually ends it. After three domestic abuse arrests under Larissa’s belt, Colt filed for divorce at the beginning of this year. As you can see in the video, Colt and Larissa’s volatile union put Debbie Johnson in tears. Fans get to see this more than once on the new Happily Ever After season. Colt makes a vow to his mother that he’ll stop Larissa from obtaining a green card. He makes this pledge as he comforts his mother on the video. Debbie Johnson chimes in that Larissa got what she wanted. According to Colt’s mother, Debbie Johnson, that was to destroy Colt. It looks like Ashley Martson and Jay Smith were on and off again there for a while. Shortly after they married Ashley crumbled over finding Jay actively chatting with other women on dating apps. Seems this is another couple that gets a visit from the police this season. It also appears Ashey gets a bit testy with Jay during a volatile argument. It looks like she swats him and almost knocks him off his feet. Just a glimpse of this couple suggests they have a lot of work ahead. 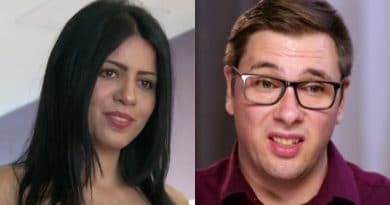 90 Day Fiance: Happily Ever After brings new parents Russ Mayfield and Paola Mayfield to the screen. It seems they’re about to become parents during the filming of this season. Baby Axel, who was born on New Years’s just after midnight, makes his debut as the season rolls on. At the same time, it looks like Paola attempts to make amends with her husband’s family. Wait wait wait is the #familychantal coming back to #90DayFiance happily ever after!???? This 90 Day Fiance: Happily Ever After duo has family problems galore as Chantel Everet and Pedro Jimeno return to share their where they are in life today. It looks like someone in Chantel’s family is a fan of the Godfather movie because they borrow an iconic line from the flick. They tell Chantel they’ll make Pedro an offer he can’t refuse. It looks like Pedro and Chantel’s family members have all the makings for impromptu brawls. It seems there’s plenty of them on this new 90 Days Fiance spinoff series. 90 Day Fiance: Happily Ever After co-stars, Nicole Nafziger and Azan Tefou didn’t seem to make much headway. Especially in the happiness department. It looks like she’s back in Florida after her visa ran out forcing her to leave Morrocco. So, this couple lives apart in the aftermath of opening up a business. As well as a life that’s void of a marriage right now. Nicole’s family hasn’t given up on changing her mind. Furthermore, they work on her as she sleeps on a couch in a relative’s home. Despite hearing some sound advice, she still sends Azan money. 90 Day Fiance: Happily Ever After co-stars, Elizabeth Potthast and Andrei Castravet, make the second couple from this season to welcome a baby in January. Their baby, Eleanor Louise, was born toward the end of the month. They are also another a couple about to go a few rounds with in-laws. Elizabeth’s brood, much like other families of the co-stars on this show, finds it hard to accept their loved one’s choice of spouses. While it looks like Andrei is on top of the world about becoming a father, the question of how he plans to support his little family needs an answer. 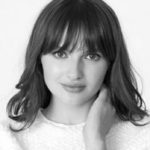 Check out Soap Dirt daily for all the latest news and spoilers for all things 90 Day Fiance including this season’s Happily Ever After. ← ‘General Hospital’ Spoilers: Operation Save Kristina – Sam, Michael and Molly Scramble Against Time? ’90 Day Fiance’: Larissa Gets Everything She Wants as Colt Repents?